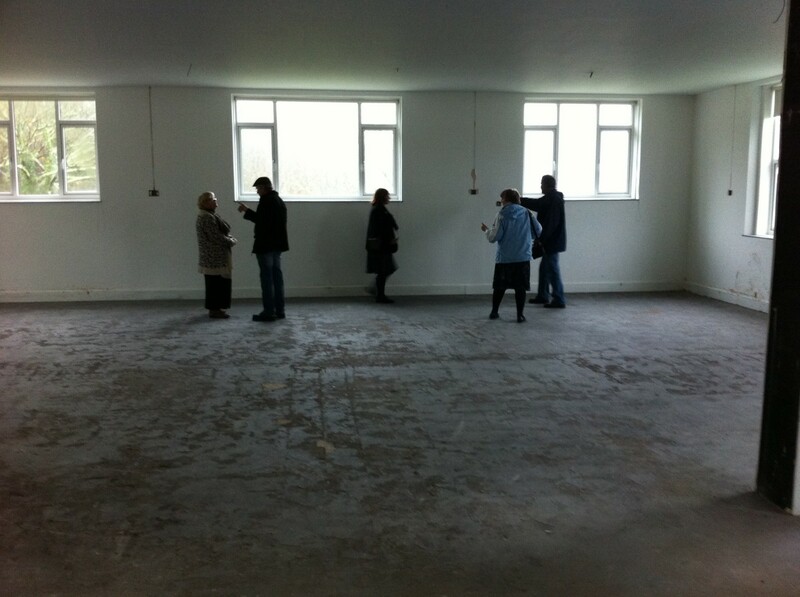 Last week staff and volunteers were treated to an early preview of the huge new gallery space opening up in Eastern House. 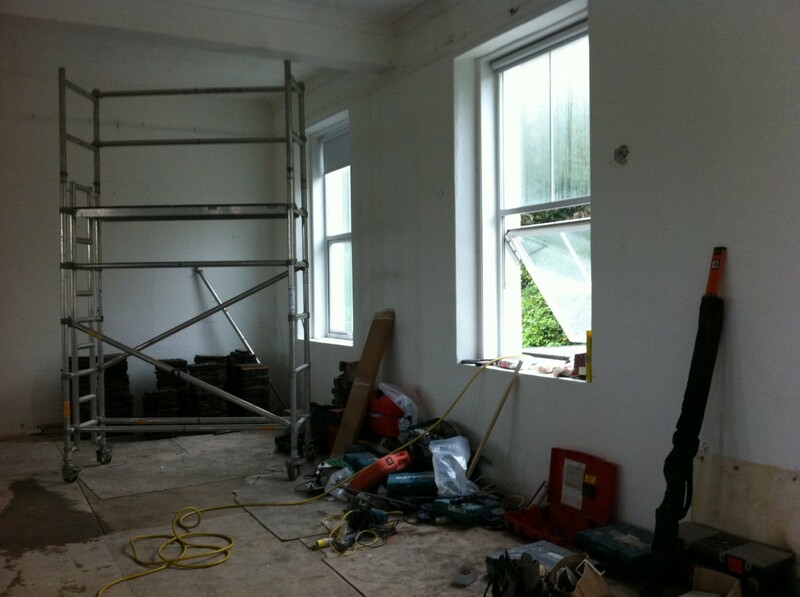 Site manager Ben Jefferies, of Symons construction, gave a guided tour of the first floor, where the main exhibition gallery space has been considerably extended by knocking into the old learning space and object store. Both functions have been moved to the brand new archive and Clore Learning Space, officially opened in September by Lord Pender of Porthcurno. 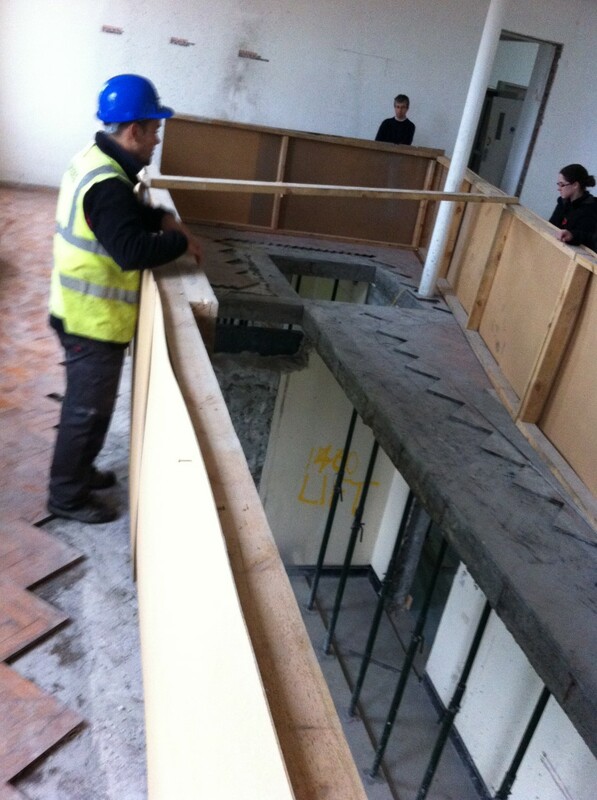 A huge aperture has been cut into the floor to accommodate a new stairway from the cafe area on the ground floor, to the gallery space on the first floor. 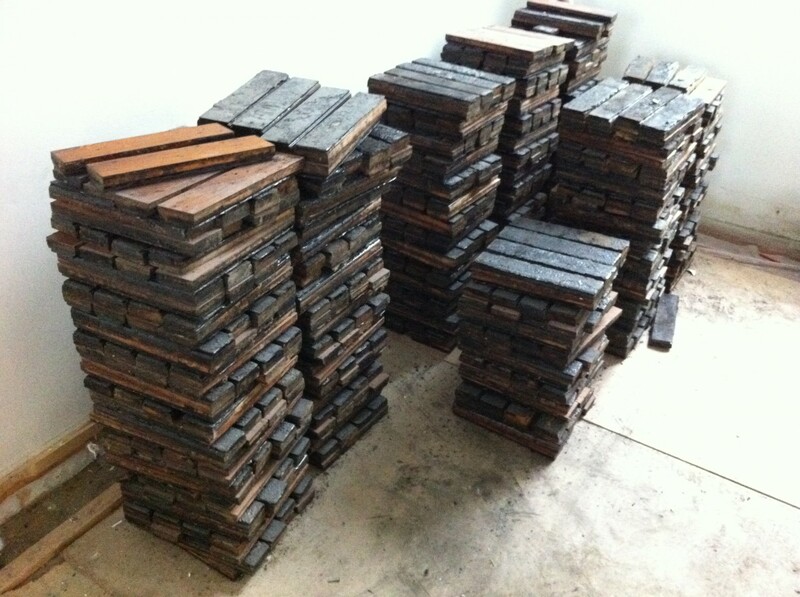 The beautiful original hardwood parquet flooring has been removed, carefully cleaned and set aside for re-use. Front of House staff Mary, Sue and Rudy were especially keen to see where the new demonstration space will be; at the far end of the gallery flanked by large object cases. The space will allow more visitors to enjoy the perennially popular live demos, and will be sited next to a viewing point looking towards Porthcurno beach. The work is scheduled to continue for some time to come, with installation of exhibitions expected to begin in the spring, for a summer 2014 re-opening.